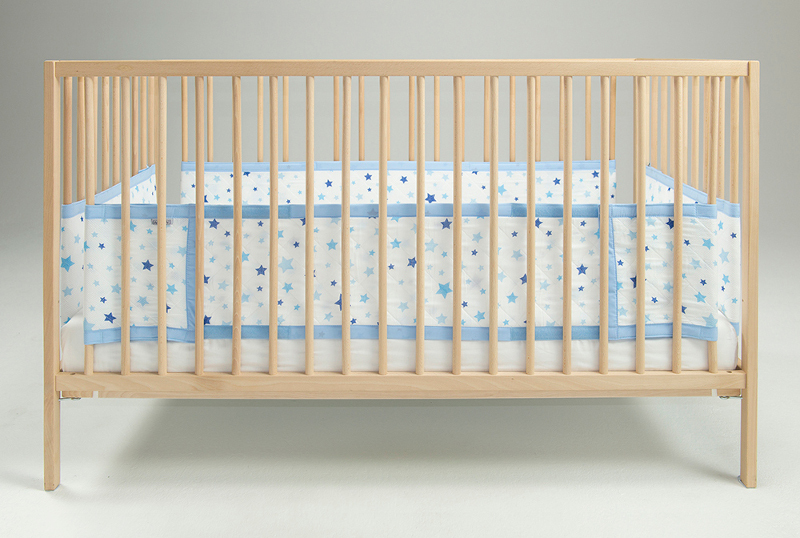 Cots are the showpiece of any nursery, and they’re designed to keep your baby safe and confined. But often those little legs and arms tend to work their way between the bars, and dummies have a real love of falling out of the cot in the middle of the night. And if you’ve got a little one who loves tossing and turning, you’ll know that tell-tale sound of a head bump and the tears that follow all too well. If you’re searching for a safer choice to a traditional cot bumper, come and see what Airwrap is all about. 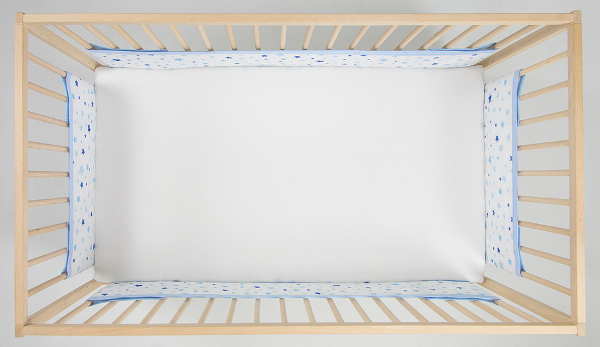 For many years, organisations like SIDS and Kids have advocated not using traditional cot bumpers, however many parents are still searching for a safer alternative that will prevent little heads bumping into hard cot sides, and arms and legs escaping. A huge amount of research and development has gone into producing Airwrap, which is a breathable alternative to the cot bumpers of old. Airwrap is made from a specially-woven inner mesh, while the outside is a breathable cotton muslin. The Airwrap has been lab tested for airflow compared to both traditional cot bumpers and breathable padded cot liners. The key testing was around the Airwrap’s ability to disperse so-called “bad air” – that is, air with too high a concentration of carbon dioxide. The Airwrap is designed to work on many cot types, and that’s because of its four-piece construction. This is also a real bonus if you just want to use the Airwrap on one side (or even just across a few bars), for instance to stop your baby being distracted by something on one side of the room – and we all know babies can find anything distracting! The Airwrap is firm, but does have a little padding to keep heads safe from knocks. However, it’s slimline and designed to collapse if stood on, so as not to provide any help for little escape artists! It’s all of these things combined that have seen the Airwrap become the top breathable cot bumper alternative in Australia and the UK. Airwrap has branched out to include a swathe of beautiful designs, most of which are unisex, with solid colours and star patterns. To learn more about the Airwrap, or to purchase, take a look at The Little Linen Company.